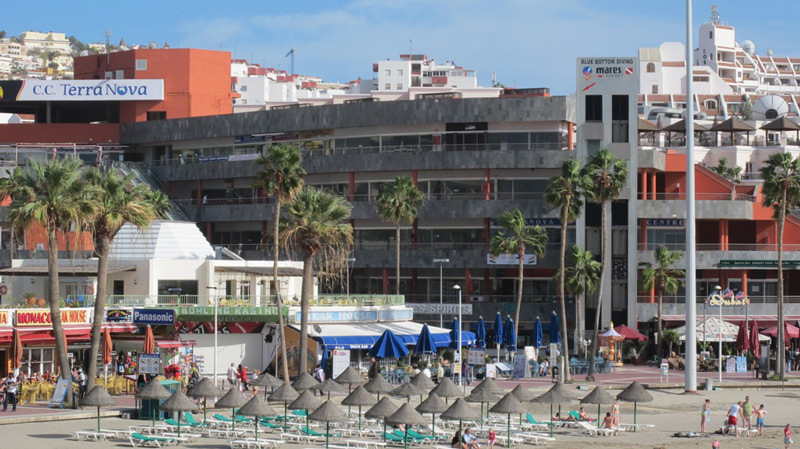 It is situated in Costa Adeje , south of the island in Playa la Pinta ,W next to the marina Puerto Colon . are between the Hotel and the La Pinta Hotel Flamingo Club. 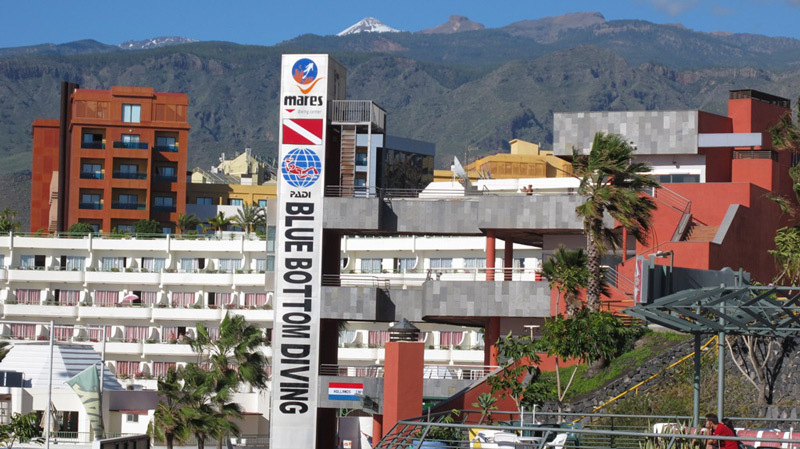 Our dive shop is the largest MARES shop and best stocked in Tenerife. The store is less than 5 km from the center of the Americas and less than 20 minutes from the airport south. 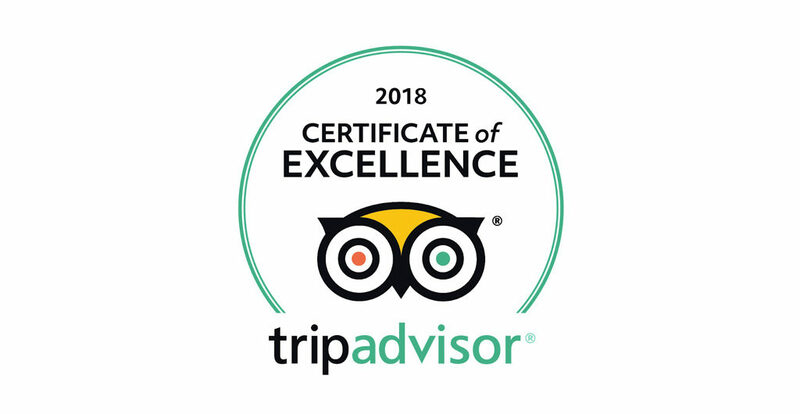 More than a dozen dive sites are within a radius of 15 minutes of our PADI dive center, you can easily reach us by car and by bus (5 minutes walking from the station in Playa las Americas). If you are coming from Las Americas or Los Cristianos take exit 74 “San Eugenio”. At the roundabout go straight ahead and take the left lane. At the crossroads is "The Temple Bar", continue straight and you are in España Avenue , where you will see our sign BLUE BOTTOM DIVING, MARES, PADI and CC Terranova. If you are coming from Playa Paraiso and San Juan, take Exit 75 "San Eugenio”. Follow the road until you reach the intersection. Immediately you have passed BBVA and Santander Bank turn right and you're in España Avenue, where you will see our sign BLUE BOTTOM DIVING, MARES, PADI and CC Terranova.